Apologies for the lack of weather forecasts for most of October but we’ve been on a bit of an epic trip. We returned to beautifully warm and mainly sunny weather. After walking in snow and 0C in a German forest it was a cosy reminder of just how different the climate is on the islands. It’s change of season time which means the weather patterns can vary quite significantly. A calima which will mainly affect Lanzarote and Fuerteventura will have some impact on Tenerife with the south seeing the highest hike in temperatures. For the main it will be a warm and sunny week at coastal level. 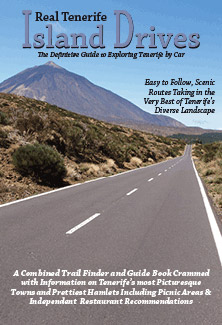 It could be a very different picture on Mount Teide where rain is forecast at crater level and… wait for it… snow on the mighty mount’s slopes. We could have a white volcano by the end of the week. 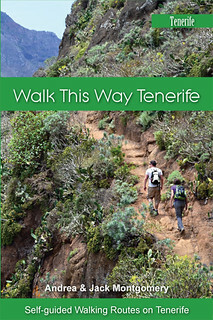 Weather in South Tenerife – It looks like it will be a sunny week in the south with calima in the eastern islands causing a hike in temperatures at the start of the week (32C) before they settle at around 24/26C from Wednesday through to the weekend when there will be a few light clouds and a 5% chance of showers. 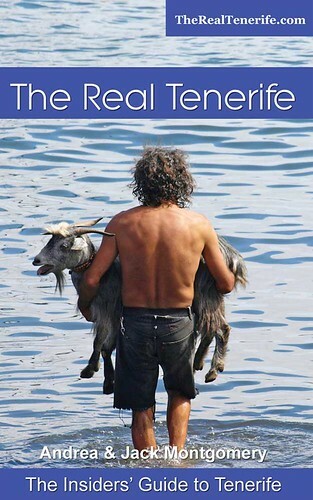 Weather in North Tenerife – It’s a similar picture in the north although temperatures will be a few degrees less hot, starting the week at 27C in the shade and ending it at 22C. 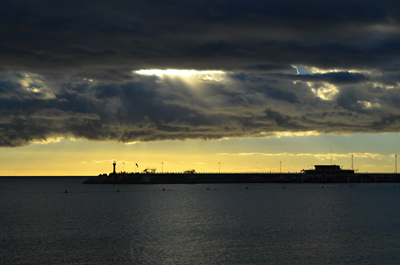 There will also be cloudy spells and a chance of showers over the weekend (5-15%). 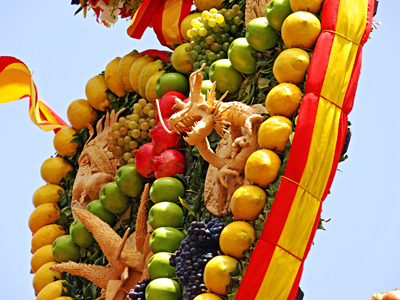 Weather in East Tenerife – Almost exactly the same as the prediction for the north. Weather in South West Tenerife – Similar to the south of Tenerife except the calima wont affect temperatures as much at the start of the week so it will be a more comfortable 28/29C on Monday and Tuesday. 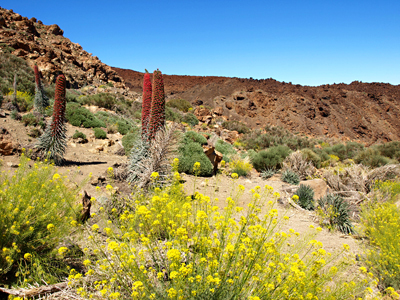 Weather in the Mount Teide Crater – It’s a bit of a different picture in Teide National Park where Monday and Tuesday could see a mix of sun and cloud before it turns grey and wet on Wednesday. After that it’s a mix of sun cloud and showers for the rest of the week in the crater. On the summit that could mean snowfall from Tuesday night and each day afterwards. 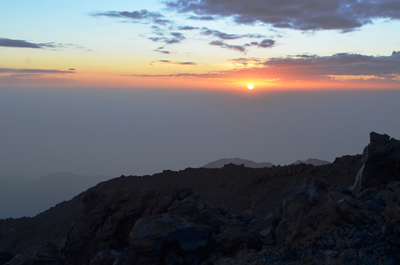 Temperatures should hover between 11 and 15C in the crater and -1 and 3C on the summit of Mount Teide. 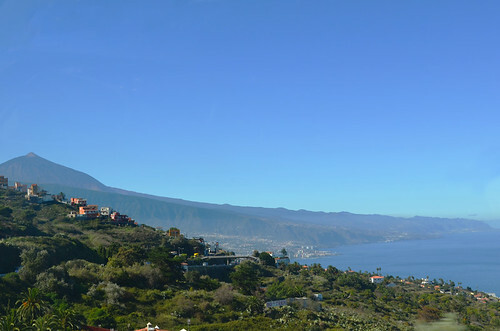 Pic: Mount Teide and the north coast last week.